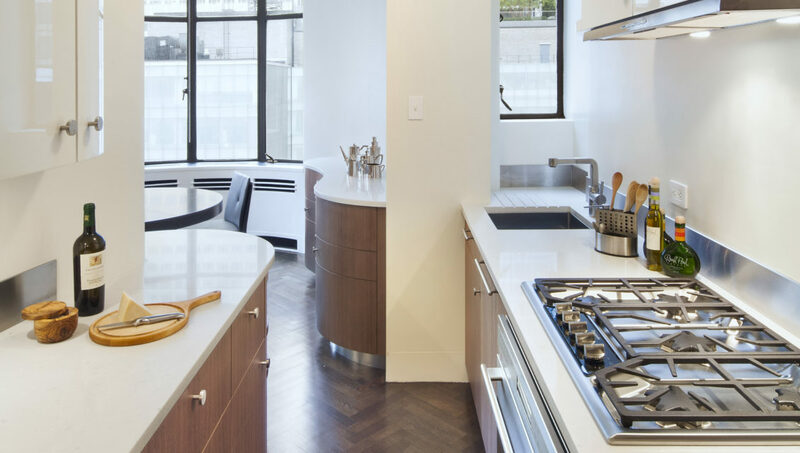 The distinct aesthetic language of the Landmark 1937 Rockefeller Apartments building was a source of inspiration for Fradkin & McAlpin’s renovation of this two bedroom unit. Through a series of deliberate, subtle, and ultimately significant moves, FMA struck a balance between historic integrity and contemporary lifestyle. 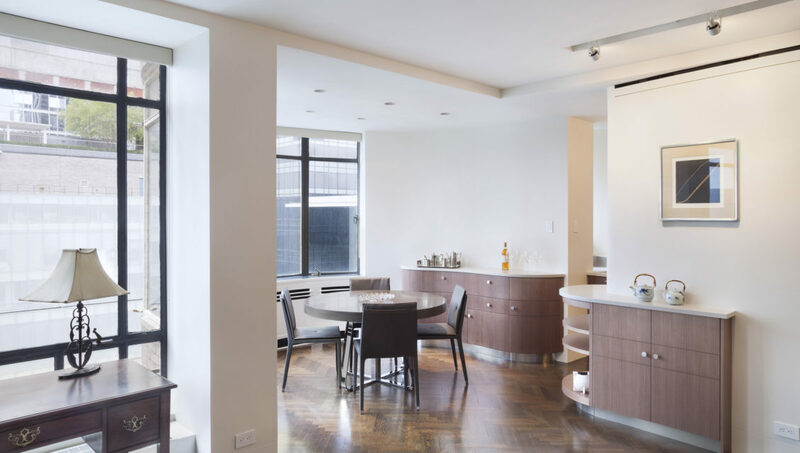 The most transformative alteration is the apartment’s new open floor plan, created by connecting the dining area to the existing galley kitchen, as well as widening and expanding the kitchen to allow the owners to cook together. 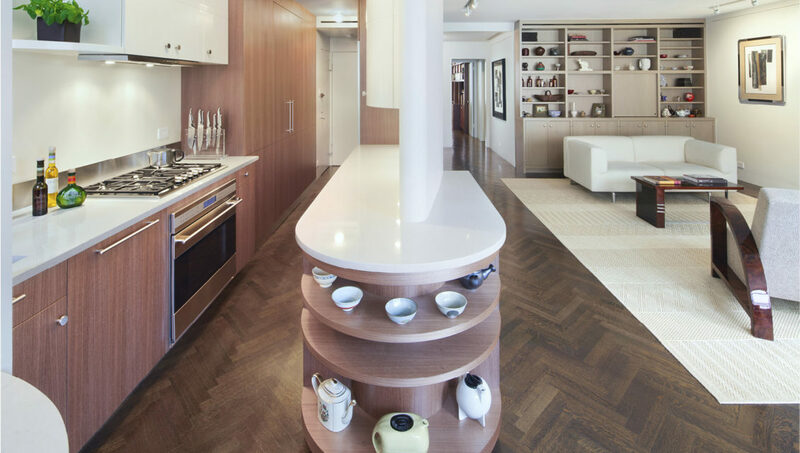 The result is a comfortable, modern living space that retains the character and elegance of a mid-century icon.